From March 25 to June 15 this year, Tokyo Disneyland will be celebrating their annual spring event with Hippity Hoppity Springtime. As you probably guessed from the title itself, this year’s Easter theme involves bunnies, Easter eggs, bunnies, egg relay races, and more bunnies. 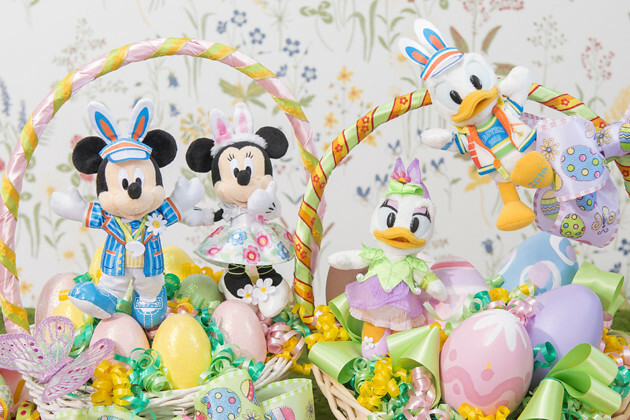 As with any seasonal event comes a seasonal parade, and Hippity Hoppity’s concept is an egg race through a secret Easter garden. 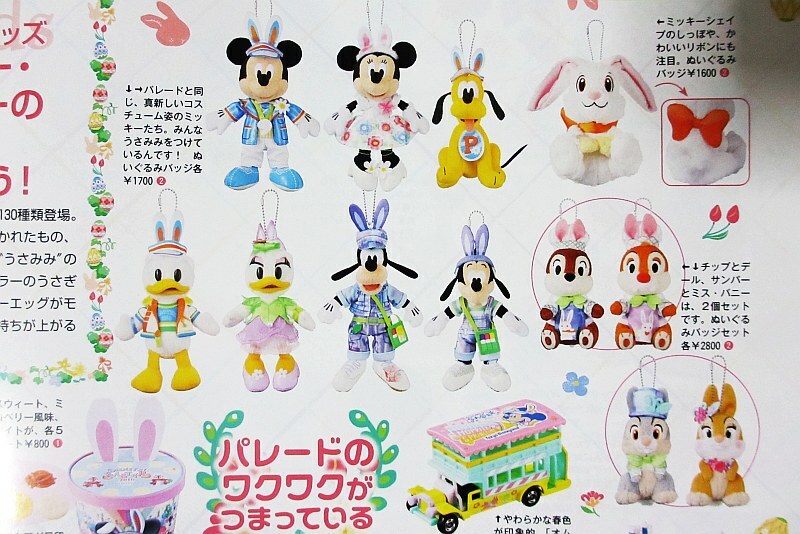 Presented along the parade route will be “Hippity-Hoppity Springtime,” a fun and entertaining parade themed to a “secret Easter garden.” This year, Mickey Mouse, Minnie Mouse and their Disney pals will be appearing to new music wearing new costumes with bunny ears. And when the parade makes a stop, it’s time for you to join in on an exciting egg race! More info about the event can be found on its English page. To last year’s visitors it may certainly resemble the previous parade, but Hippity Hoppity Springtime boasts new costumes and a new parade song. A lovely springtime display of the plushies. All images are copyright of Tokyo Disney Resort.